A customer reported an issue regarding a user where if she tried to listen to her voicemail messages she would get “Mailbox is in use”. This issue normally happens if any TUI session or VoiceView sessions are open in any other phones having access to that GDM or the ports have become stuck or busy. Good stuff Here for sure. One of our customer reported an issue with ring back tone when calling their Contact center. I made a test call and observed that as a caller when you call their main Contact center number all you hear is dead silence and then when agent picks up the phone you could hear them talk. There was no ring back tone and no automated messages before an agent picks up the call. First I thought it could be the third-party equipment which was not sending back the ring back tone so I asked them to confirm this. They came back saying they are definitely sending ring back and there was no issue with their equipment. One of the more tedious parts of any phone system deployment is configuring the access layer switches to support said phones. The configuration in and of itself isn’t complicated, but every port that may receive a phone needs to be setup correctly. In Cisco parlance, this is accomplished with the switchport voice vlan <ID> command. I’ve typed that into the CLI a thousand times and never really knew what it did besides “make the phones work”. After a little research, I finally found some answers. I thought I’d share them with you. In the old days, before the Catalyst 2950, configuring a switch port for use by a phone involved creating an explicit 802.1q trunk. This made sense from the perspective that it allowed traffic from multiple VLANs to pass on a single link. It also allowed the 802.1p priority bits for Quality of Service (QoS) tagging to be sent with the frames. The downside is that it was very difficult for phone mobility. You either needed to provision every phone-facing switchport in your organization to be an 802.1q trunk or you had to leave the phones were they were. While the latter is usually the case in most of my deployments, the mobility provided by the ability to plug a phone in anywhere in the network and not worry about extra configuration is key to some clients. Thankfully, Cisco fixed this starting in the 2950 with a little concept known as the Auxiliary VLAN. The Auxiliary VLAN (AUX VLAN) is a specialized VLAN that sits beside a regular access VLAN configured on a switch (sometimes called a “normal” VLAN). The purpose of the AUX VLAN is to allow IP phones to transmit their payloads along with the untagged data coming from a PC that might be plugged into a switchport on the back of the phone. The AUX VLAN allows these two devices to transmit on the same port without the need to use an explicit trunk on the link. In addition, since the port is not configured explicitly as an 802.1q trunk, extraneous VLANs will not be flooded over the port. In essence, the port becomes a two VLAN trunk. All the phone traffic is tagged with the ID of the AUX VLAN and the PC traffic is untagged. Curiously, according to this document, the traffic in the AUX VLAN must also carry a Class of Service (CoS) of 5 along with the AUX VLAN ID. Otherwise, the traffic is dropped. So how does the phone get the ID of the AUX VLAN so it can start sending the traffic? Ah, that’s where CDP comes in. Cisco Discovery Protocol (CDP) is very crucial in the operation of a Cisco IP phone. It not only provides the AUX (Voice) VLAN ID for the phone to being sending traffic on the AUX VLAN, it also allows the phone to automatically negotiate power settings. This allows the phone to use less than the maximum 15.4 watts of power under the 802.3af PoE standard. If you disable CDP on the port facing the phone/PC you will likely start pulling your hair out. Even though the phone might have already assigned itself in the Voice VLAN, removing CDP from the switchport in question causes it to forget where to find the voice VLAN. You’ll need to re-enable CDP and reboot the phone. You could also statically configure an 802.1q trunk to fix the issue, but where’s the fun in that? One other curious note is that I’ve always been told that the connection between the phone and the switch when switchport voice vlan is configured is a “special 802.1q trunk”. Not that I’ve ever been able to see that configuration, as show interface trunk seems to think that the port isn’t trunking and show interface switchport says that it’s an access port. The key is in Cisco’s documentation. The correct term for a port with switchport voice vlan configured is a “multi-VLAN access port”. The distinction between the two is that only the two vlans (voice and access) configured on the switchport will be accepted on the link. If you were to do something silly like, oh I don’t know, plug another switch into the back of the phone and configure an access port on that switch to be in a different VLAN than the voice or PC access VLAN, traffic will not pass through the phone port to the switch. Once again, that’s because this isn’t a real trunk. The switch will only accept tagged frames from the Voice (AUX) VLAN. Thanks Networking Nerd for this article. On CUPC > Help > Show Server Health, sometimes you would see failed items with the message “invalid credential”, such as “Presence”, “Desk Phone”, or “Voicemail”. This is very confusing. Since you already logged into CUPC, why it’s giving you “invalid credential”? What kind of credential it was failing on? Before we can move further, please take a look at “CUPS and CUPC, father and son? or not“. CUPS and CUPC’s relationship is not as tight as you thought. CUPC has many features, but CUPS is only relevant in two of them (configuration repository and presence). When you type username and password on CUPC login window, that is majorly for “Configuration Repository”. If you typed in the wrong password, CUPC won’t be able to download configuration from CUPS. No other functions CUPC can perform without configuration. However, sucessfully downloading configuration does not guarantee other functionalities. To use other fucntions, a 2nd authentication might be required (either explicitly or implicitly). For presence feature, 2nd authentication is required on SIP layer. This authentication is implicit. For more details on “Digest Authentication”, please see http://www.ietf.org/rfc/rfc3261.txt. Why is it implicit? Why does it fail? To make it implicit is Cisco development’s decision. If they made it explicit, you’d have to provide digest credential (2nd password) after login. This could be annoying since SSO (Single Sign On) was what we preferred. 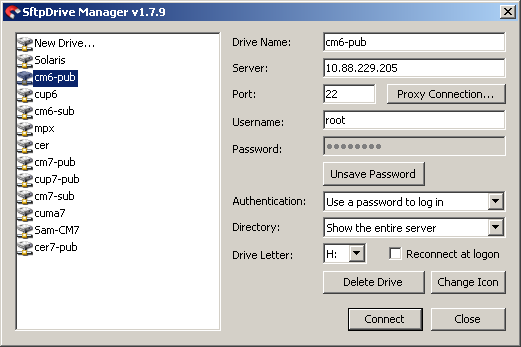 1) You (system admin) configure digest credential on CUCM Admin > User Management > End User page. 2) CUPS synchronizes digest credentials from CUCM to CUPS. 3) CUPS transmits digest credential to CUPC during logon. 4) CUPC uses that degest credential to authenticate with SIP proxy. a) The “door keeper” acutally verified your identify (username/password), before giving you the key. b) The key was encrypted during transmission. d) This is a compromise (or balance) between inconvenience of SSO and SIP protocol requirements. Option 1: Go to CUCM Admin > User Management > End User, configure a dummy value for “digest credential”. It could be any value. Why? See workflow explained above. Option 2: Go to CUPS Admin > Cisco Unified Presence > Proxy Server > Incoming ACL. (on CUPS 7.x, it’s “System > Security > Incoming ACL”. Configure an address pattern that covers your CUPC machines. For example, a “all” pattern matches all machines. This option is considered less secure, because any machine in that address pattern (subnet) would be able to connect to SIP proxy without digest authentication challenge. Option 3: Go to System > Service Parameters > Cisco UP SIP Proxy. Set “Authentication Module” to “off”. This is the least secure option, which turns off SIP authentication at all. This usually happens when CUCM was configured to use “LDAP Authentication”. To control desk phone from CUPC, CTI protocol was used. Before a CTI client (CUPC) can control the phone, it needs to authenticate with CTI server (CTIManager). This authentication is implicit. CUPC would use the same logon username/password to authenticate with CTIManager. CTIManager, in turn, would authenticate that with LDAP. Question: Why the authentication would fail? Answer: In short, this is a bug on CUCM. Question: Any workaround for that before we can upgrade CUCM? Answer: On CUCM, change LDAP authentication port to 3268 and restart CTIManager. Question: Why it would fix the problem? Answer: When LDAP referral happens, CTIManager would fail on authentication. Using 3268 (Global Catalog) port eliminate LDAP referals. Question: Why it only affects CUPC? Answer: CUPC is the only application (so far) that uses end user credential to authenticate with CTIManager. Depending on what Unity edition you’re running (Unity or Unity Connection), the cause could be different. Before moving on, please take a look at “How to test IMAP connection“. On Exchange 2007, it’s because IMAP login was disabled on TCP (port 143) by default. On Unity Connection, make sure you reset “Web Application Password” instead of VoiceMail password. So working on a huge refresh project where license issues are for sure going to become an issue. So I should start now on discovering more on Cisco’s Licensing which I did and I can say it is another mysterious area in Unified Communication. Each product has its own licensing model. CUCM license resides on publisher. The ‘host ID’ in license file needs to match the MAC address of the publisher. There are three different types of license for CUCM: node license, feature license and device license (DLU). Node license is for server node. Feature license is required for upgrade or CUCM 7 and above. Device license is required to configure devices (such as phones). CER license resides on publisher and subscriber (if you have CER subscriber). License file on pub needs to match the MAC address of pub. License file on sub needs to match the MAC address of sub. If you received a “license expired” message on a two-node CER deployment, 99% of the chance you don’t have a license for sub (wrong MAC address). Like CUCM, CUPS also has node license and device license. Node license resides on CUPS publisher. Device license resides on CUCM (it’s just a regular DLU license). Node license could contain proxy or PE (Presence Engine) or both. I will continue to update this post with more information as I continue to discover it.. Let’s hope it is not in a “Lessons Learned” scenario..
Wow, am I old or is Cisco moving at about 3 revisions a year? I think the first was correct.. Oh well. I have a huge 8.x project coming up for a client and so I have been installing a lab version to play around with. Last night I tried to MAP my lab UC appliance from a Windows machine, then I remember that this changed as of CCM 5.x…. So I’m sure you remember the “good old days” of CCM 4.x? You can do almost everything on the box. Because it’s in fact a Windows 2000 box. However, this brings security and supportability issues. With the introduction of Linux-based Unified Communication appliance (CUCM 5.x – 8.x), Cisco locked down the box. You can only access the box via admin web page or a tailored command line. 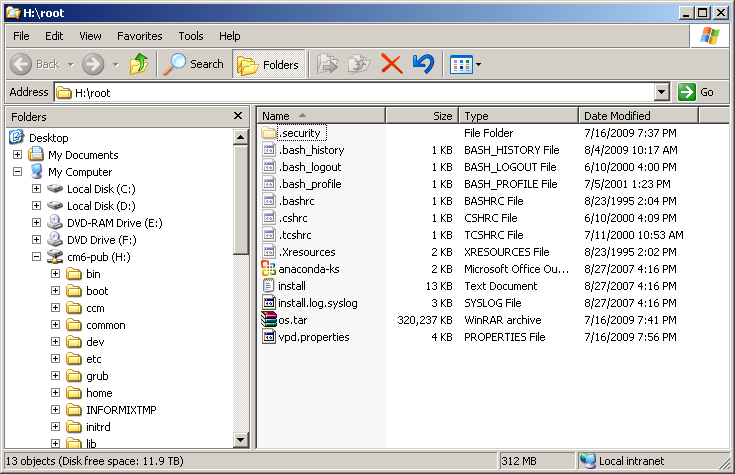 What if we can go back to the “good old days” and view the file system just like a Windows drive? I think I discovered a way to do it on a forum site. To achieve this, you need two things: a root account on CUCM and a software who can map a SFTP server to a network drive (such as sFTPdrive). BAM issue solved. In closing I must admit, I was one of the Cisco CCVP’s at Cisco Live asking developers WHEN ARE YOU GOING TO STOP USING WINDOWS? – Soon my friend, soon.. So I would trade this inconvenience any day to keep from having to deal with Microsoft.